Particle and Surface Sciences have announced DOP solutions, an addition to their product range. This has enabled PsS to provide a solution for filter and cleanroom testing. HEPA filters, available from Particle and Surface Sciences, are installed in process applications. 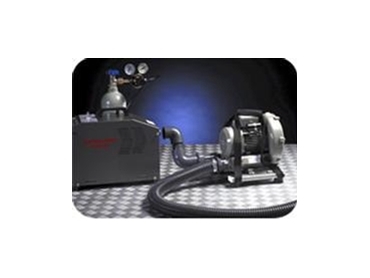 An aerosol generator is used to produce an oil aerosol that is introduced into the air stream entering through the HEPA filter to be tested, and an aerosol photometer is used to measure the amount of aerosol upstream and downstream of the filter. The result gives the performance of the HEPA filter reported and identifies if any leaks are present in the frame, seals or media. Ancillary equipment is required to inject, mix and sample the aerosol such as positive injection pumps, injection ports, sparge pipes, sample ports and scanning probes. Particle and Surface Sciences distribute lighthouse particle counters and real-time contamination monitoring systems. The PsS offers contamination monitoring solutions that include airborne particle counts, liquid particle counts, airborne molecular contamination, mass concentration levels, Electrostatic Charge (ESD) monitoring instruments, temperature, relative humidity and total organic carbon monitoring. These solutions are now found in semiconductor, data storage, pharmaceutical, biotechnology, aerospace and defence industry facilities.